Who runs the world? Girls do! There are countless number of hardworking, powerful and beautiful women all around the world and also right here our beautiful South Africa. Through women like actresses Emma Watson, Megan Fox and Maisey Williams and our own beautiful ladies Charlize Theron, Jo-Ann Strauss, Boity, Shashin Naidoo and Jeannie, we’re reminded of the all-conquering power of a woman’s resilience. From women’s rights to being on the wrong side of 30, if there’s one thing that unites our fight and levels the playing field, it’s the battle of the brows. Despite the fact that no two eyebrows are created equal, every woman should at least have the opportunity to stand up for her brows. Some women are born with low-maintenance eyebrows, but for the vast majority it’s a daily reminder that we need more than our own resilience to win this war! If only we’d known when we were younger that eyebrows would be this important. Instead some of us plucked the life (and future) out of them to be on trend at the time – and so the obsession began. 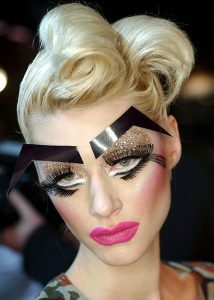 But unlike fashion trends which come and go, once our eyebrows go they’re generally gone forever! But it’s not only the over-zealous pluckers from the 90s who end up with sparse or unruly brows; as we age our hair can become more coarse or thin due to lack of elasticity. In addition, our modern lifestyles, diets and stress all contribute to the strength and loss of our hair. The beauty industry has always been there with a ready solution for our face framers. First our mothers introduced us to tweezers and eyebrow pencils – designed to add shape (okay, arches) to our wannabe Janet Jackson brows. Then we discovered products like eyebrow mascara and eyebrow gel to sculpt what was left of our facial follicles. We consulted with the pros who tried to convince us to use special brow powder and highlighter; but unless you had a slanted make-up brush and a degree as a make-up artist, your chances of achieving the perfect arch were slim. So now most of us find ourselves beholden to our beauty therapists to wax or thread our brows into shape. The recommended (and highly optimistic) home maintenance plan of nourishing, conditioning and revitalising our brow hair is seldom followed through. The last year or two has seen a global obsession with eyebrows again, with beauty magazines and Instagram divas talking about “eyebrows on fleek”, while YouTube and Pinterest show us tutorials on how to get on fleek eyebrows (whatever that is) in just 7 steps. As times have changed so has technology, and there are now eyebrow stencils, brush-on brow fibres, and even eyebrow transplants – the brow solutions are endless! But who has the time and money for all that daily effort (unless you really are studying for that degree in make-up artistry)? Time is a valuable commodity, and as much as we’re now working smarter we need to groom smarter too. 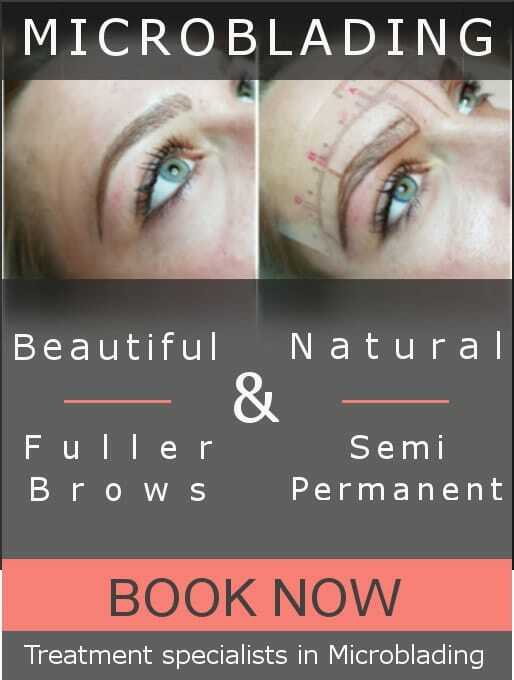 The latest in eyebrow innovation checks all the boxes, not least of all because it’s a semi-permanent solution which requires no daily effort at all. Microblading, or ‘eyebrow embroidery’, is the art of applying colour to the eyebrow with an incredibly fine, sterile blade. 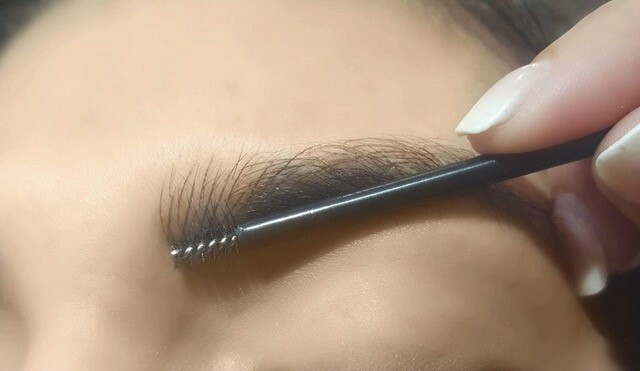 Tiny precision hair strokes are drawn delicately on the brow area by a qualified aesthetician to create a perfectly-shaped, yet natural-looking eyebrow which can last up to 18 months. The colour won’t stay forever, but it won’t go away while you need it either. The end result: model-perfect brows that finally look more like gorgeous twins than distant, malnourished cousins. Another pleasant side effect is not having to worry about waking up next to your partner to find that last night’s eyebrows smudged into the pillow. Microblading has also become popular as a hair loss solution in chemotherapy and other similar patients. Having permanently and perfectly groomed brows helps to restore dignity; and we can all agree that if you look better you’re more likely to feel better too – especially when you’re battling a serious illness. 1. I’M CONCERNED, WHAT ARE THE RISKS? 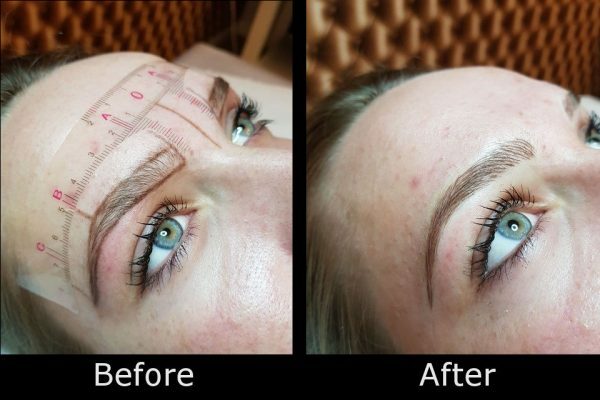 Because the treatment is considered to be a semi-permanent tattoo, there is always the risk of infection and other complications if you don’t go to a qualified and reputable microblading technician. Who you choose to do your microblading will also make all the difference when it comes to the look you’re trying to achieve. Your technician should be well-trained in colour theory and must understand which brow shapes flatter which faces. 2. IS IT NECESSARY TO HAVE A CONSULTATION FIRST? Yes. During this time, you will be assessed to make sure that you are a suitable candidate for microblading. This involves a full medical overview and assessment regarding any pre-existing skin conditions. Also ensure that you’re happy with the mapping, measuring and symmetry checks beforehand you proceed. 3. WILL I FEEL PAIN? A skilled microblading technician will make you feel as comfortable as possible using topical anaesthetics that have been medically developed for permanent makeup application. Most people experience some discomfort, likening the sensation to plucking or a scouring feeling – but this will vary from person to person. If you survived the hair horrors of the 80s and 90s, chances are you’ll survive this too! The healing process will take about a week, and after that, your brows might be a little itchy at times – but don’t scratch! You will need to cover them when showering, bathing or washing your hair in this period to prevent them from getting wet. 5. PREPARE FOR A BROW WOW. Be aware that the colour will be pretty dark in the beginning, but it will soon settle into the right shade. However, because permanent make-up is often a process, it is recommended that you return for a touchup to refresh the colour after 4-6 weeks. Do not consume any alcohol or painkillers. No brow waxing, tinting, or threading 2 weeks prior, the more natural hair growth you have, the better. If you plan to go on a vacation, it is recommended to plan your trip a minimum of 2 weeks after the procedure. Botox and fillers on the forehead, temple, and eye area should be avoided 2 months prior to procedure, and no Botox for 4 weeks after your touch-up appointment. If you have been on prescription Accutane / Roaccutane or Oratane in the past, you must wait at least 1 year before considering this procedure. If you are on Warfarin or other blood thinners, you need to discontinue use 1 week prior to your appointment with permission from your medical doctor. If you have been on prescription Tetralysal / Doxycycline you will need to wait at least 6 months before your micro pigmentation appointment. If you are undergoing radiation or chemotherapy, we will require a 1 year post-chemotherapy doctor’s note in order to go ahead. It is highly recommended that you avoid sun exposure and tanning beds for 30 days before your procedure, and 8 weeks after your touch-up. No scratching, picking or peeling the affected area to prevent scarring and the pigment from being removed. No sun exposure, sun tanning, salon tanning. No laser or chemical peels, and any other form of exfoliation. • Do not participate in sports and activities that induce perspiration. No long, hot baths or steamy showers. Do not apply any creams to your face or neck containing retinol or glycolic acid. Do not engage in tasks like heavy household cleaning where airborne debris can become prevalent. Do not drink excessive amounts of alcohol, as it can cause wounds to heal slower. No Botox for 4 weeks after your touch-up appointment. Subscribe to our Beauty Messenger Chat Bot and join us on an Awesome Beauty Journey of valuable tips, videos, teqniques and effective solutions to the modern woman’s beauty concerns. You can also whatsapp us for any questions or bookings by clicking on the button below. ← Eyelash Extensionist Therapists Wanted!